Mutatis Mutandis brings together a number of works that explore the complexity of contemporary events, materiality, history, and memories, and propose possible re-presentations. Discontinuous narratives as well as formal and mental strategies for re-editing information and images question the functioning of visible and invisible structures and networks. They also challenge—through the sometimes paradoxical use of modern and traditional media—the complexities of contemporary subjectivities. 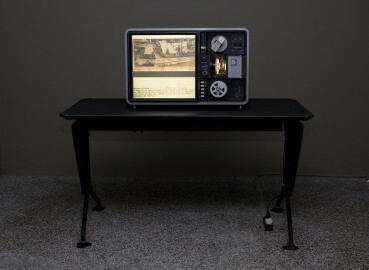 Babak Afrassiabi is working with various formats such as video, objects, and text. He often collaborates with Nasrin Tabatabai; they also produce a bilingual magazine in Farsi and English. Under the name Pages, Afrassiabi and Tabatabai have been realizing joint projects since 2004 which are based on research into the historical conditions of politics and cultural production and their re-articulation through art. Based on a true story, Thicker than Paint Thinner is a film about Hossein, a former drug addict turned revolutionary who sets fire to the Rex cinema in Abadan (Iran) a few months prior to the 1979 revolution, causing the death of nearly 400 people. The film also makes reference to Seyyed, the protagonist of The Deer (Masoud Kimiai, 1974), the movie that was being screened in the cinema when the incident took place. This movie within the movie is also about a drug addict who gets involved in political activities against the regime; he dies in a gun battle with state police. 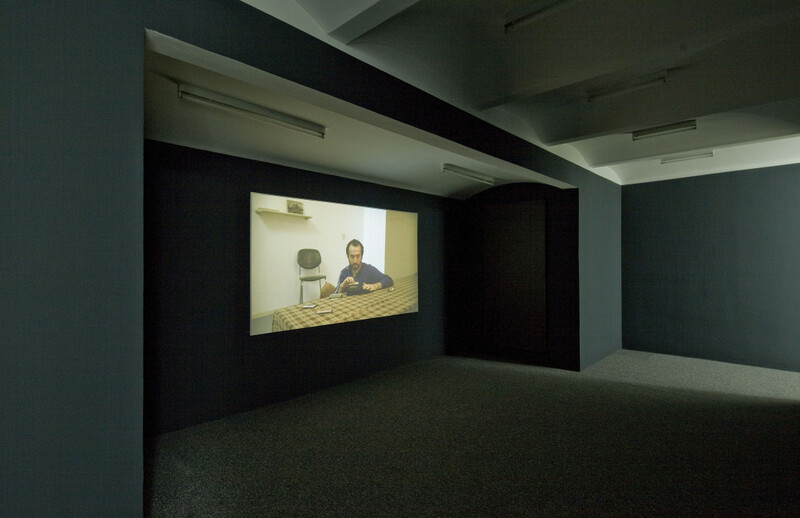 The structure of the film remains fragmentary, moving between pieces of recollection held together by the character of Hossein and his tape recorder. It is a film about history, martyrdom, truth and the political unconscious of Iranian cinema. With a sculptural practice grounded in the process of casting, Hany Armanious meticulously remakes everyday objects out of unexpected materials. 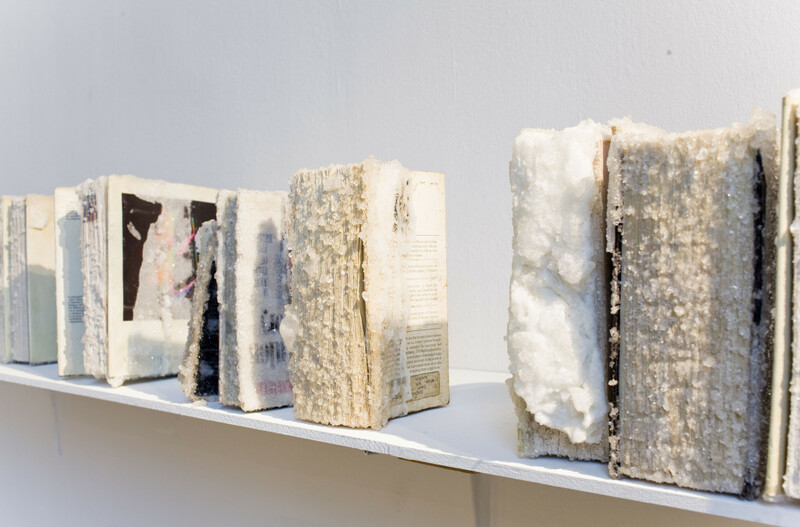 The resulting forms are mostly made of polyurethane resin and capture the wear and tear of the original objects’ past lives. By prioritizing process and tactility over aesthetics, he uses casting as a method to reproduce unique items, while the originals are often being destroyed. 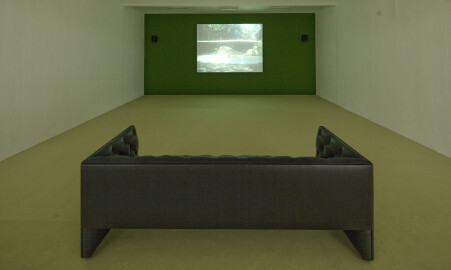 Arranged in idiosyncratic assemblages, they are meant to encourage prolonged viewing. 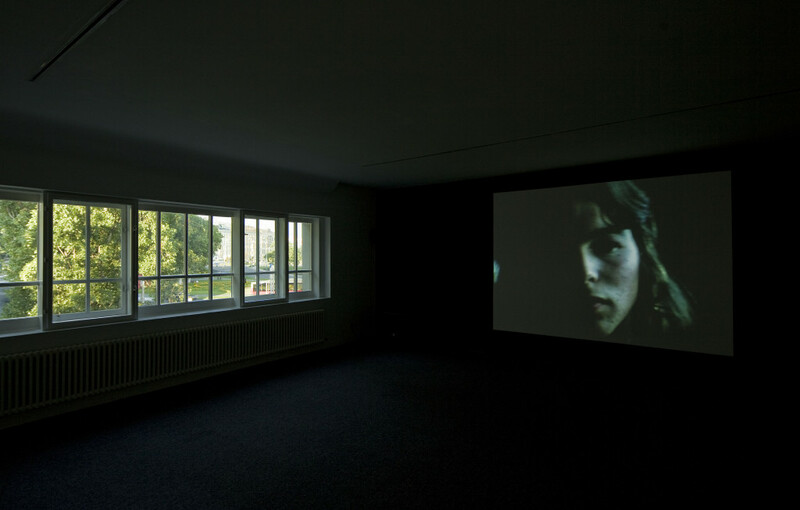 Louidgi Beltrame’s work unfolds around a deconstruction of the formal and narrative structures of cinema. He combines documentary, fiction, and architecture, while elaborating on a system of analogies between architectural and cinematographic language. 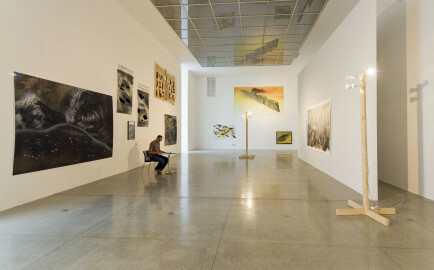 His projects have led him to explore sites of architecture resulting from nuclear disaster (Hiroshima) or from architectural and urban utopias (Brasilia, Chandigarh). Cinelândia (2012) was filmed in the jungle of Tijuca near Rio de Janeiro, where Oscar Niemeyer built the Casa de Canoas (1951–53) as a home for his family which, however, they abandoned after only a few years of occupancy. The well-preserved glass pavilion is here conceived of as a projection screen for the architect’s projects and for fictions of the jungle and its mythologies. The main structure of the film is provided by the voiceover, which reads fragments from Tecnicamente Dolce, an unrealized script by Antonioni from the 1970s. Elisabetta Benassi’s works comprise densely emotive installations, photographs, performances, and videos; her work is rich in literary, cinematographic, psychoanalytical, and political references. Memorie di un Cieco (Memories of a Blind Man, 2010) is based on a modified microfilm reading machine standing on a 1960s Olivetti office table from the ARCO series, designed by the BBPR studio. The surrounding space is painted gray and seems to have been recently emptied out; it looks as though everything around the machine had suddenly vanished. We, i.e. the spectators, and the film provide the only elements of color. 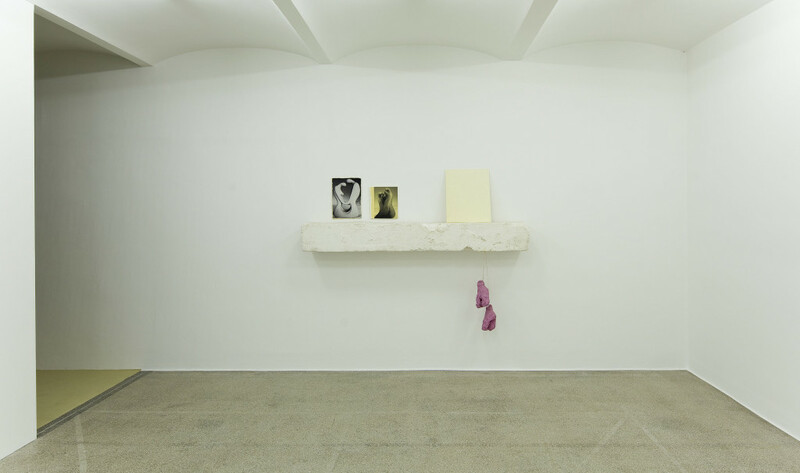 “All I Remember”, interview by Cloe Piccoli, in All I Remember, exh. cat. 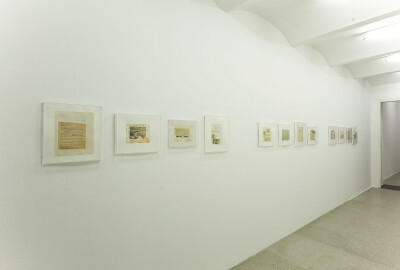 Magazzino d’Arte Moderna, Rome, May 11–July 31, 2010. Andrea Branzi is one of the most important avant-garde artists in the field of industrial and experimental design and in Italy’s radical architecture movement. In 1964 he co-founded Archizoom Associati and in the 1980s he was associated with Studio Alchymia and the Memphis group. His work also relates to architecture, urban planning, and theory. 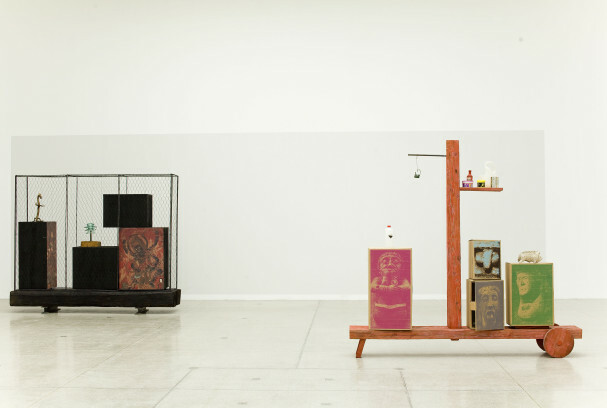 Grandi Legni (2009) is a group of assemblages which continue Branzi’s exploration into the environmental archetypes that characterize the complexity of the contemporary world. 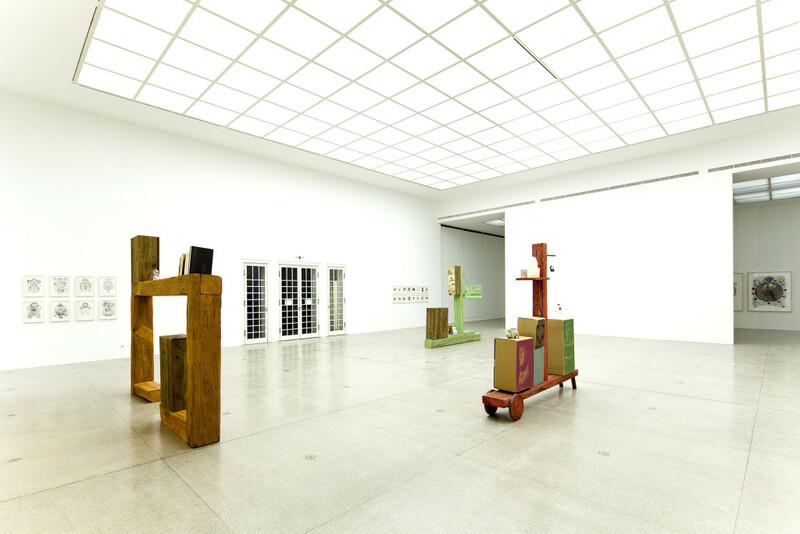 His works, which are halfway between architectural installations and everyday objects, deal primarily with historical iconography, technology, and the meeting of modern and ancient. Luke Fowler’s installations explore the historical complexities of location, sound, and film, questioning if it is possible to create a meaningful dialogue between looking and listening; in his work he often explores the limits of documentary filmmaking, combining new and archival footage, interviews and photography, yet paying close attention to sound and its social significance. All Divided Selves, 2011, concentrates on archival representations of the famous psychiatrist R. D Laing and his colleagues as they struggle for social environment and disturbed interaction in institutions to be acknowledged as significant factors in the etiology of human distress and suffering. 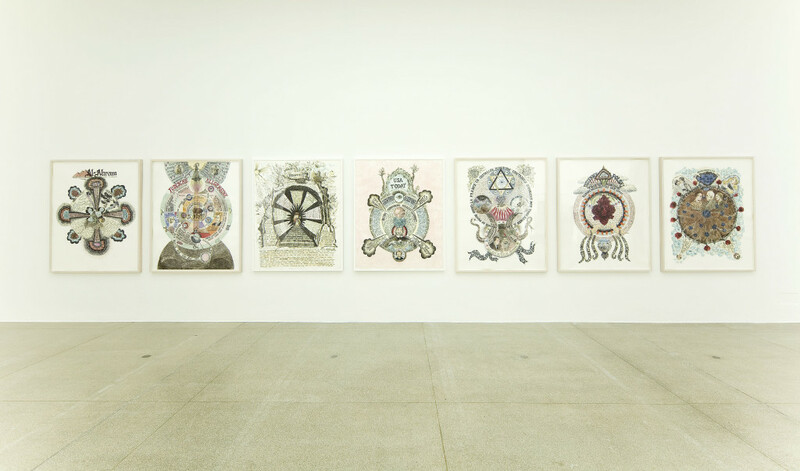 A series of works which transcribe front pages of international daily newspapers into alchemical drawings, reframing the world as a place animated by strange forces, powers and belief systems. These works redeploy the languages and intentions of alchemy: the transmutation of materials and essences and the revealed understanding of the world as a text, as a realm of powers and correspondences which, if properly understood, will allow man to take on transformative power. Babak Afrassiabi, born in Iran in 1969, lives and works in Rotterdam. Edgar Arceneaux, born in Los Angeles in 1972, where he lives and works. Hany Armanious, born in Ismalia (EG) in 1962, lives and works in Sydney. Louidgi Beltrame, born in Marseilles in 1971, lives and works in Paris. Elisabetta Benassi, born in Rome in 1966, where she lives and works. Andrea Branzi, born in Florence in 1938, lives and works in Milan. Luke Fowler, born in Glasgow in 1978, where he lives and works. Suzanne Treister, born in London in 1958, where she lives and works.